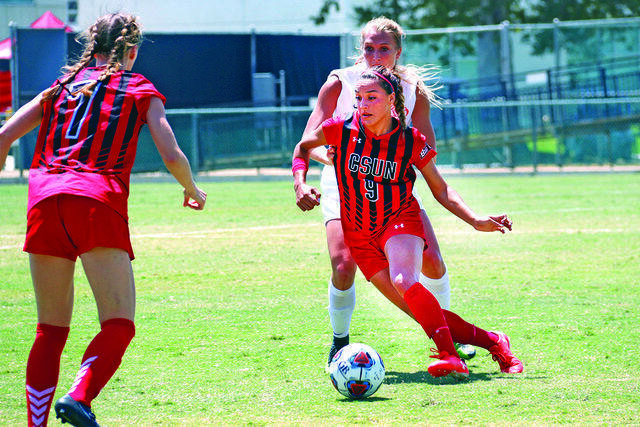 CSUN women’s soccer is a team that has prided itself on having one of the elite defenses in the country. So when the clock started against Houston, the Matadors turned Houston (2-0-1) into a team that looked like it was playing in a tin can. The Matadors did not allow a single shot on goal for the full 90 minutes and added a goal from Cynthia Sanchez. To go along with, Marissa Favela scoring for the second consecutive game in a 2-0 victory, CSUN’s first win of the season. Senior defender Lindsay Kutscher was a ringleader in the Matadors dominant defense performance. Sanchez scored a world-class goal in the 16th minute. After a pass by Sylvia Trinh, Sanchez played it off of her chest, spun at a 180-angle and then crossed at a side angle off her right foot and into the back of the net. It was Sanchez’s first goal of the season and her 18th of her career which is now tied for the third most goals in program history. In the second half the Matadors (1-0-2) continued its attack on Houston. Sydney Gilbert probed and then attacked Estopare’s right flank. After being pulled down from behind in the goalbox, the Matadors were awarded a penalty kick. Moments later Favela scored far post and added her second career goal in the 63rd minute. When the night was over CSUN outshot Houston 10-0. 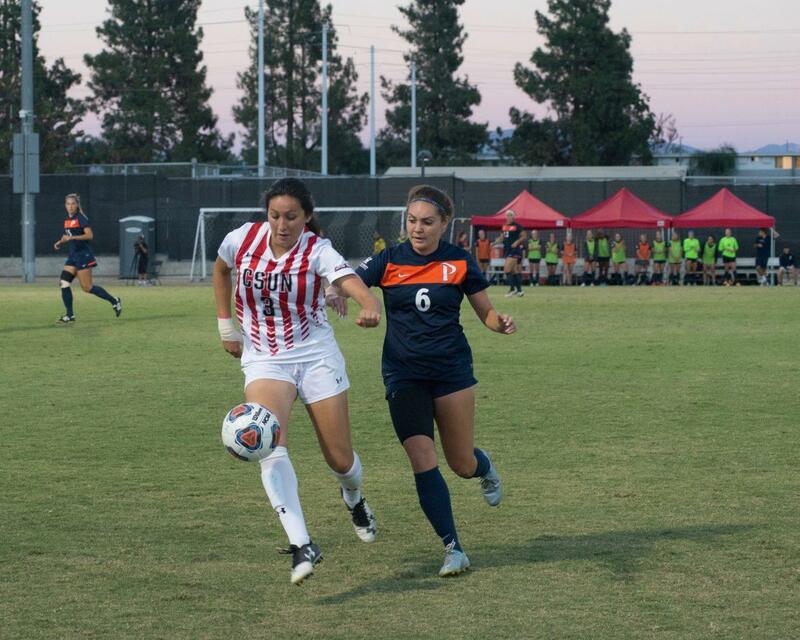 CSUN will play at home Sunday against Utah Valley State at 10 a.m. Injury Report: CSUN midfielder Jennifer Anderson was on the ground for several minutes after injuring her right ankle. She was carried off by Matador training staff and was seen on crutches after the game. Sister, Sister: Lindsay Kutscher had her older twin sisters Kourtney and Krystal in attendance The trio played together last season before Kourtney and Krystal both graduated. Kourtney signed the Chicago Red Stars and is currently on the practice team. Krystal is an assistant soccer coach at Pierce College and also coaches club soccer in Hermosa Beach.